OMG! 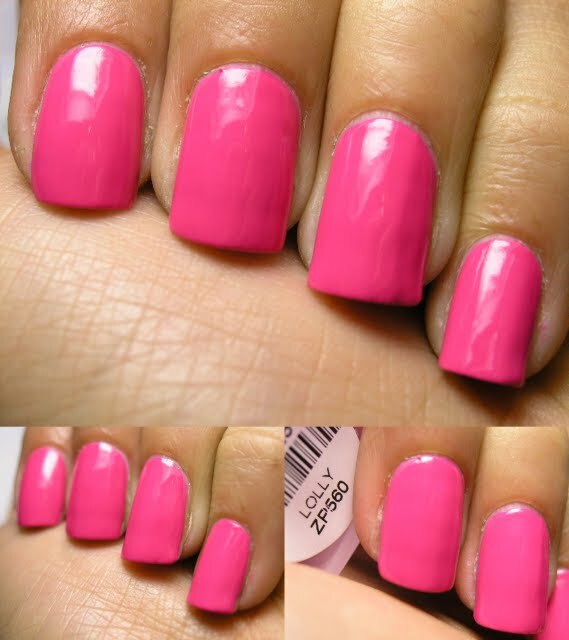 You guys know how I feel about a hot pink!!! And Lolly Does not dissapoint in the least! Here it is with top coat! 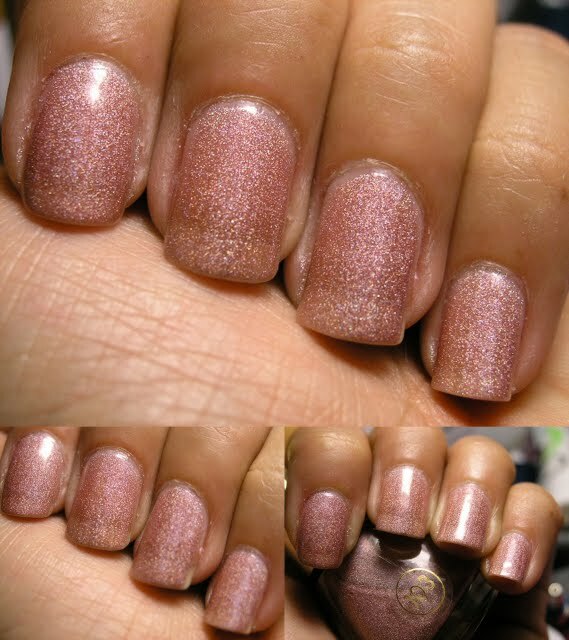 I have loved every single matte that Zoya has released thus far. 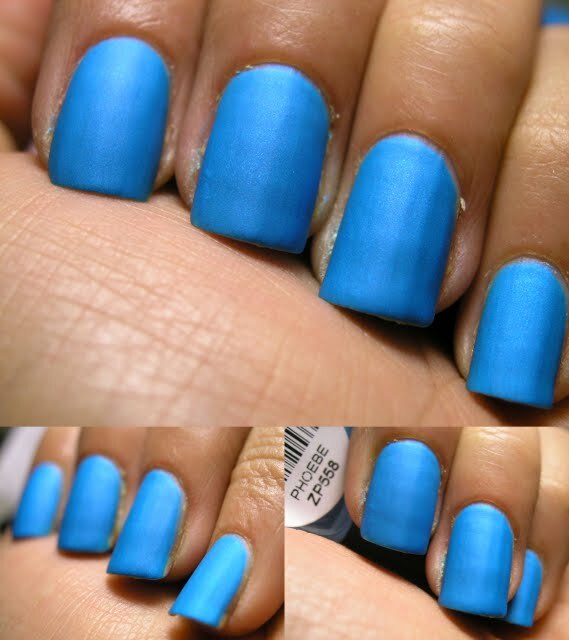 This color is part of the Mod Matte collection, the formulation is different on these. They are much thinner than the ones that have previously been released. It took me 4 thin coats to be able to get rid of the streakines of this color. 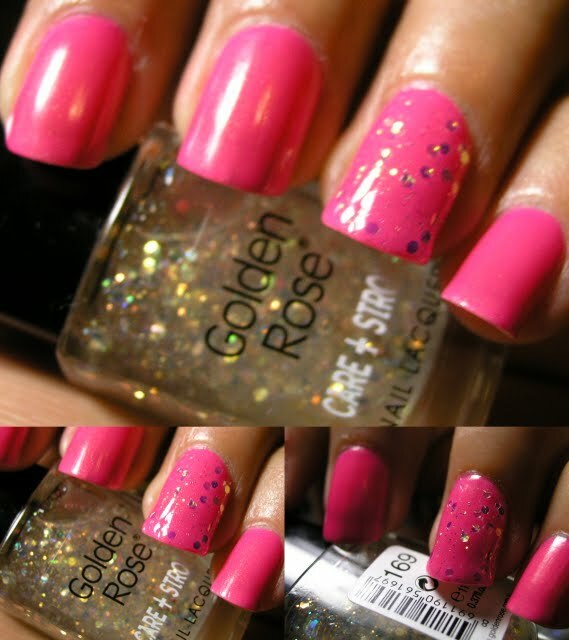 I had to try Mitzi, but this is not a color that I would ever wear, although it doesnt look terrible. And here it is with top coat! 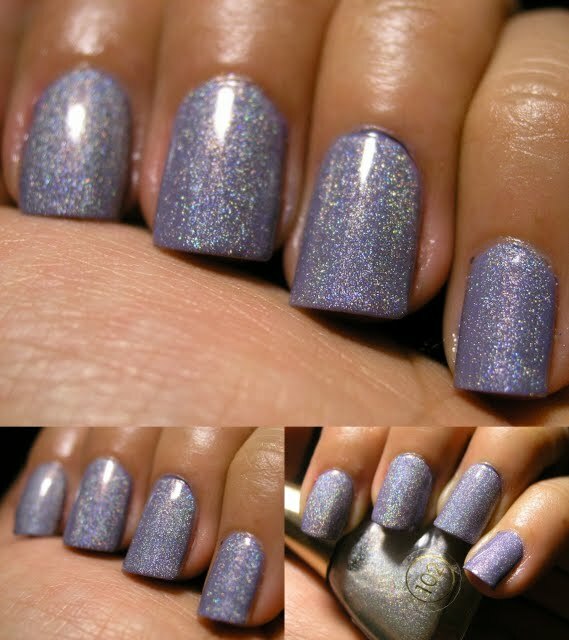 This is a pretty periwinkle color, a bit greyed out! 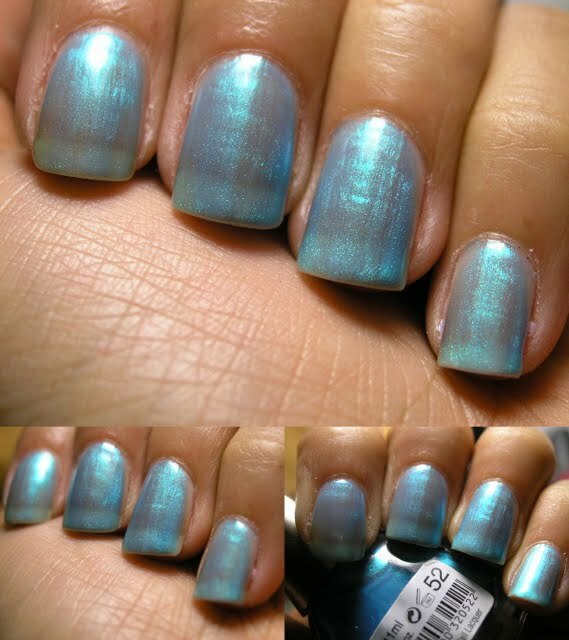 I am so glad that Paris Holographic 102 works as a top coat! It is thin enough that the base color shine through! I tend NOT to wear colors like this, but Gemma is pretty amazing! I received SO many complements on this color! 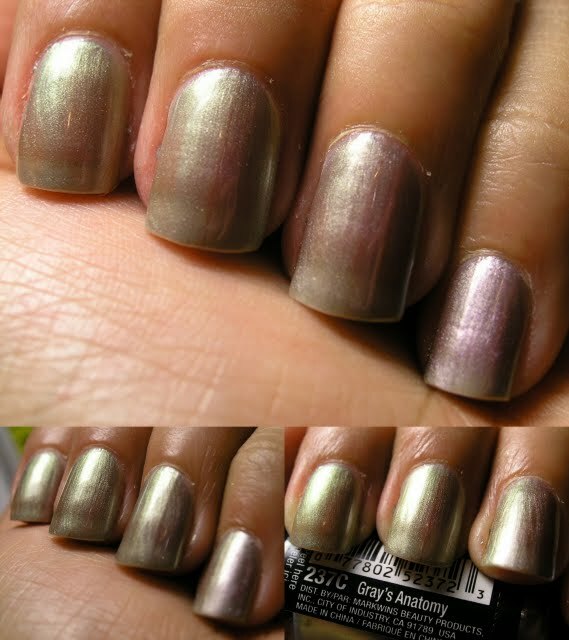 Look at the shimmer- makes it unique. 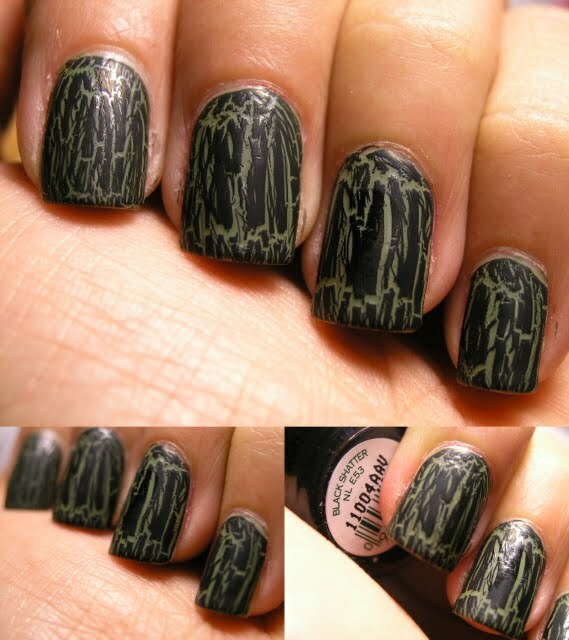 My friend saw it and said that I must add OPI Shatter, because it would look like camuflage! So Jay this is for you! Golden Rose Paris 39, You've seen this one before. 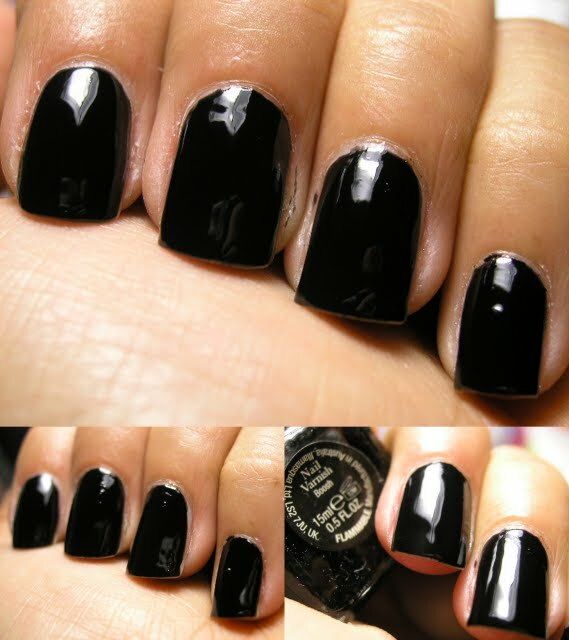 Here they are layered over a black, the 2 Paris polishes come alive on a dark base! This is the most perfect black creme. This was 2 coats, but you can get away with just one if you are careful. Here are swatches of all the colors in sunlight. These polishes are only $3.49! You can get them HERE! There are a couple of stand out, and they are easily accesible, and the shipping is free over $20! Can you guys believe that this was untried until NOW?! My ring finger has Ruby Pumps all by itself. The rest of the fingers are over black. I think it looks pretty both ways, but it is a bit edgier over black. I am finally wearing this color!!! 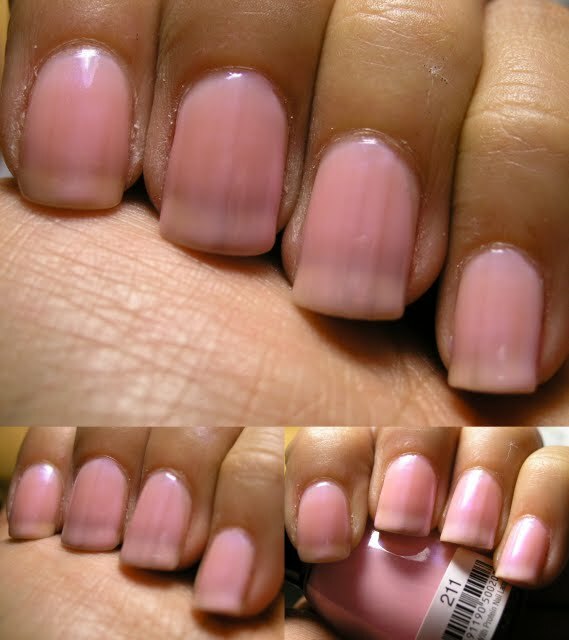 Look how this color changes depending on the amount of light it gets. On the picture above it looks very purple, and below the browns come out as there is a decrease in light. This spiced up Smokin' Hot, it becomes a Paradoxal wannabe in steroids! 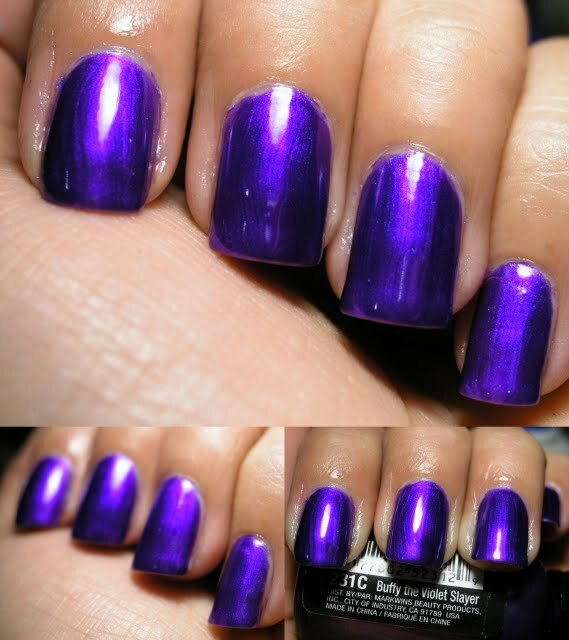 3 coats - very sheer! 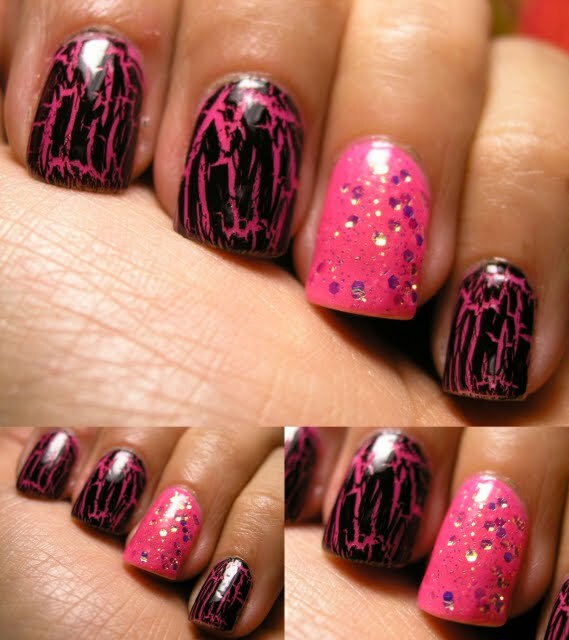 but I have to see if it will work as a top coat. 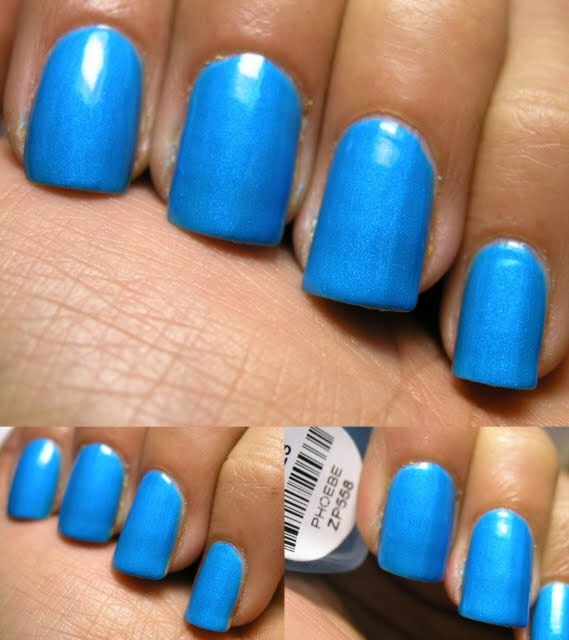 3 coats, perfect for spring! You can buy these here. 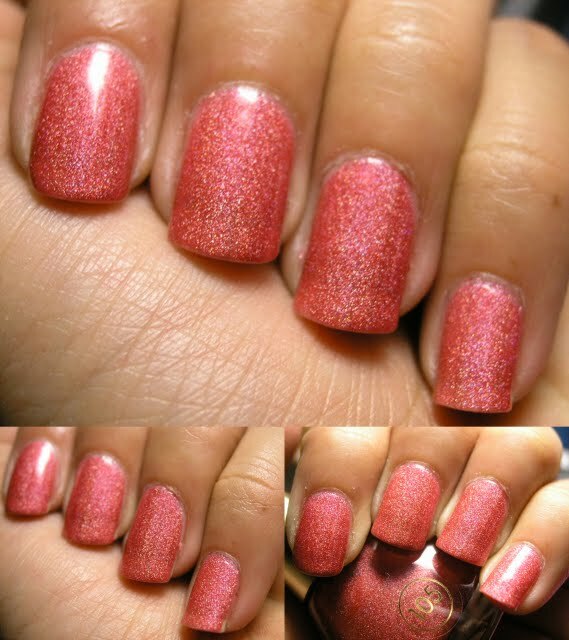 I will show you swatches of all the ones that are available at the site. I just wish that they had every single color available! These are pretty. 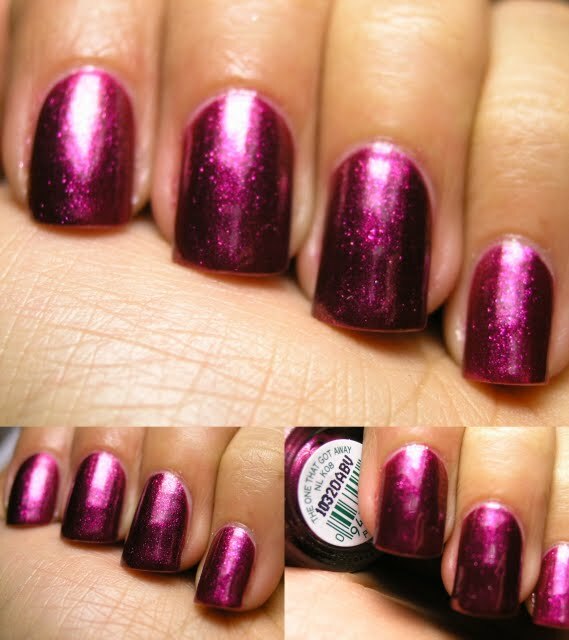 And this is one HOT pink or I should call it Magenta... WOW! I don't want to take it off, and that is the highest compliment I can give a color! 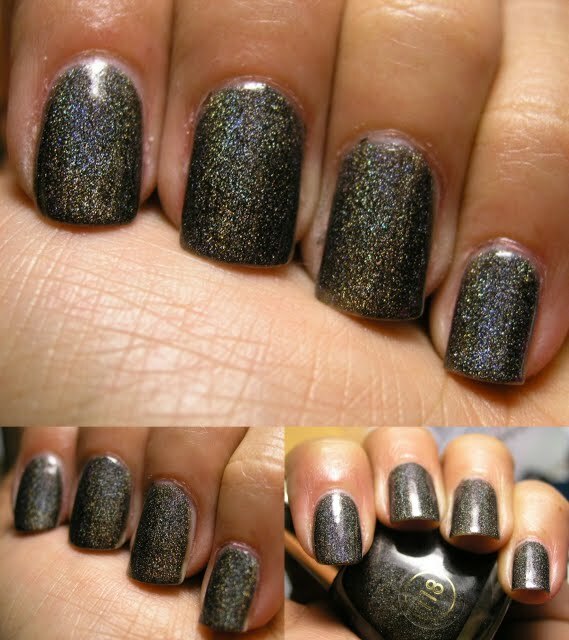 We have all seen this color with OPI Black Shatter, but I couldn't do it. I am simply loving this color too much to shatter it. 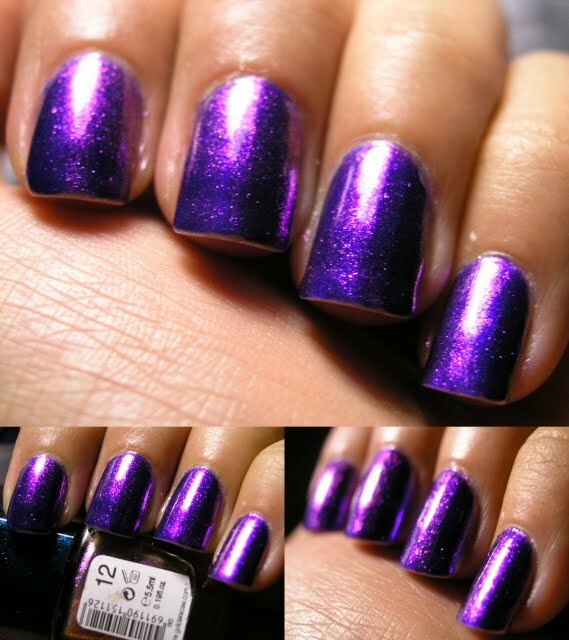 This color is a jelly and has holo glitter intersperced in it. Very pretty and perfect for pring! I prefer my blues more opaque that this. 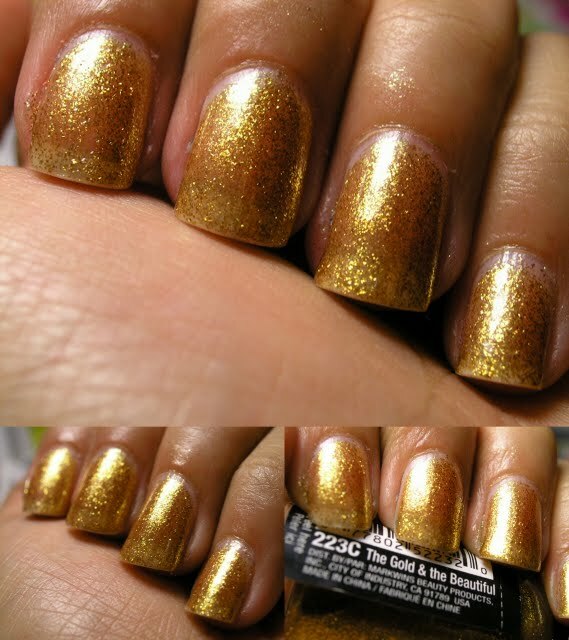 At first I passed on this color, but then find out on MUA that is had a golden shimmer! I had to pick this color up right away!, although I don't like golden colors, I love a pink with golden shimmer, it spices up the color so much more! I think this is my favorite of the new Wet N Wilds!!! 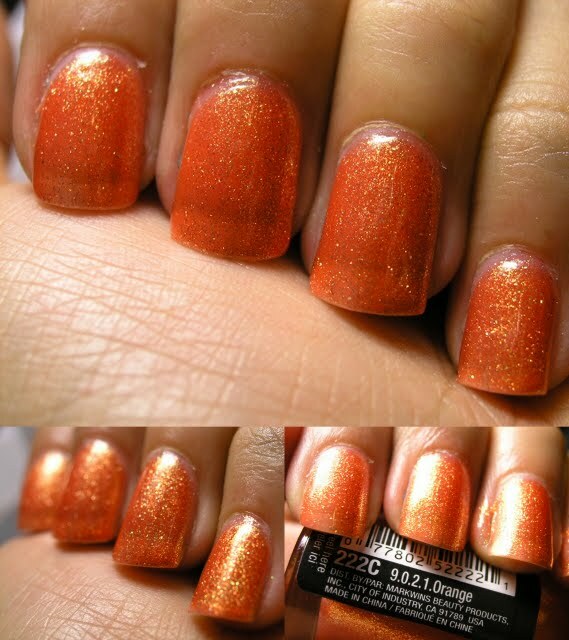 Here is is spiced up with 2 coats of 169 a glitter top coat from the Golden Rose Care+Strong line. It needed a little bit on an accent! I couldn't take off this color... so I changed the manicure. I added a couple more coats of 169 (for a total of 4 coats! ), and shattered the rest of the fingers! Next to the black, the pink almost turns into a neon! IT WAS BRIGHT! And I loved it! 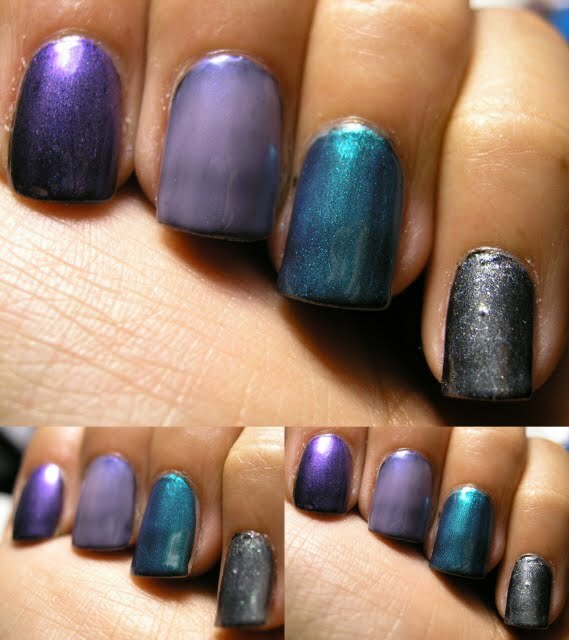 The last 3 Wet N Wild Fastdri polishes I got are coming tomorrow! it looks like it is molten in the bottle! I believe this is 3 coats, at which point I gave up! I don't have the patient at this moment to get it opaque. 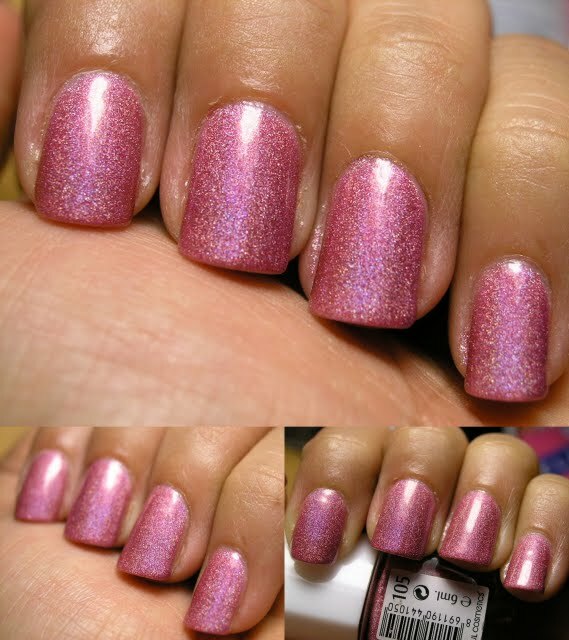 This is supposed to be a dupe for Deborah Lipmann Wicked Game, which I don't own. I much prefer silvers on me. But had to pick this one up the bottle color is absulutely amazing. 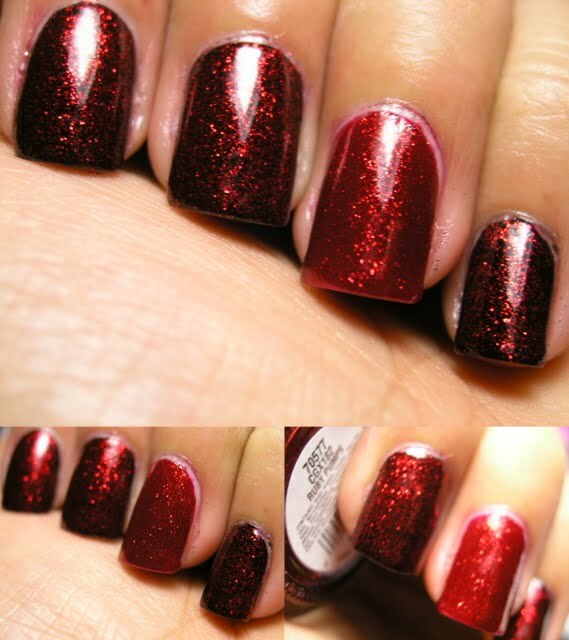 This was 3 coats, and it woudl make a great top coat, add that little bit of sparkle! 105 is a pink, cute and quiet, it comes alive in the sunlight! I was walking to work in the morning and couldnt take my eyes OFF it! 114 is described as a burgundy. It is deeper than 105 and look at the rainbow! I got all of the Golden Rose Paris Holographic color which were available on their site, now I have a lot more swatching to do! There is so little information/pictures about these colors. That I have volunteered to swatch they for you guys! 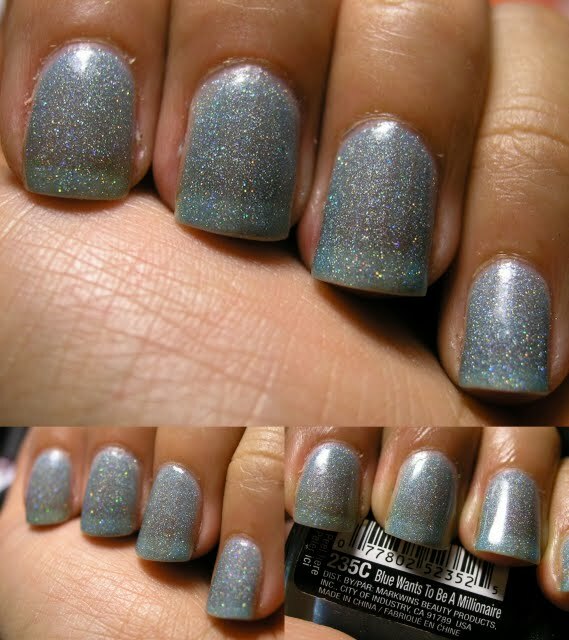 They are readily available holos, for much less than the classic China Glaze OMG and Kaleidoscope collections are going for. I placed an order for Catherine Arley polishes, should be arriving within the next month! 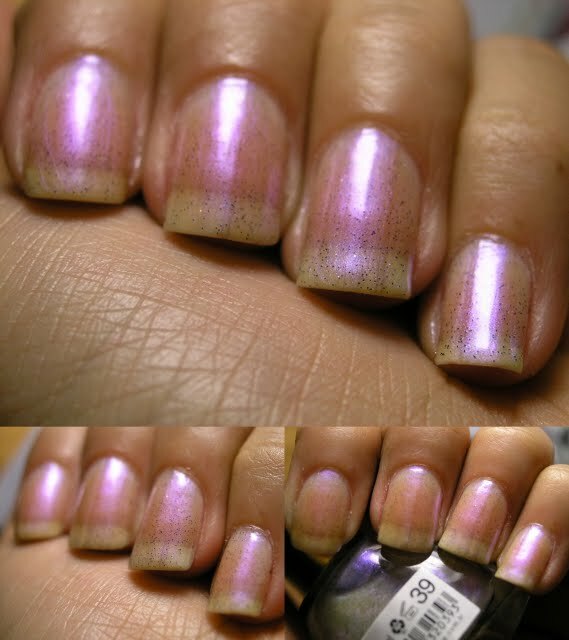 I like Holographic polishes, they make me feeli like a kid, in awe of the difference sunlight can make! Spring is on its way, and I can't WAIT! I think I have bought most of the new Wet N Wild Fastdry collection!!! I love the colors that were released! LOOK AT THAT PURPLE!!! WOW! But look at the depth it added to the purple, who already had a pink flash. I believe that Sweet Talker is another retail exclusive. 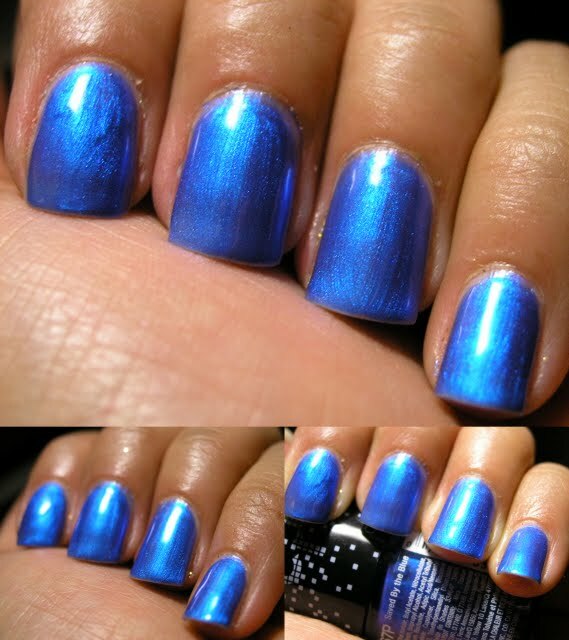 It nis a pretty baby blue, and it has a very slight silver shimmer. But it didn't do ANYTHING for me... So I blinged it up with Last Friday night... better!